Eytons' Earth specializes in researching therapeutic grade healing clay for use in Pelotherapy, hydrotherapy, balneotherapy natural medicine and healing applications. Bentonite is a commercial name (as is montmorillonite) for a class of clay minerals scientifically known as smectite. Clay minerals are complex microcrystals usually composed of aluminum silicate. What defines clay is the makeup of the minerals, the particle characteristics, and the minute size of the clay particles. The most predominant forms of clay minerals used in traditional and natural medicine are calcium bentonite and sodium bentonite. Through its journey through nature, clay becomes specialized due to natural weathering. Smectite clay particles are rectangular in shape, and once hydrated, gain an amazing sorption ability, which allows the clay to pull to its surface-- and hold-- positively charged ions. The flat surface of the smectite particles take on a negative surface charge, which creates this amazing ability technically knowns as an ion exchange capacity. The corners of the clay particles have a slight positive charge. Through natural weathering, clay also collects an abundance of trace minerals. Each clay deposit is unique. There are two primary types of clay deposits: Volcanic origin clays and sedimentary clays. One type is not better than the other, but they are quite distinct from each other. Prized thereapeutic grade clays have been used in farming, water treatment, animal feed, balneotherapy, skincare, and detoxification/cleansing protocols since before recording history, and on every continent in the world that human beings have called home. 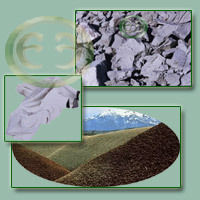 To learn more about clay therapy, be sure to visit our homepage: Bentonite, Montmorillonite & Illite: Healing Clays of the World. The bentonite articles referenced below were compiled over many years of research. The information was first compiled, printed and freely distributed in 1995. We'd love to add any other relevant research materials. Feel free to email us! "I know this because I am a natural health professional who uses clay personally and professionally for healing and health maintenance. I research and read everything I can find on the therapeutic use of clay. I have seen clay perform "miracles." I get very excited about mud. And in case you think I got my diploma out of a Cracker Jack's box, rest assured; I have a bonafide Masters Degree..."
USP Grade Bentonite & Red Desert Clay - Exceeding clean detox and mineral supplement blend. 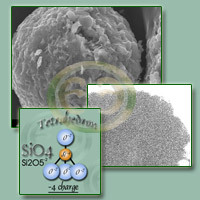 Micronized Zeolite - The highest quality micronized zeolite. Terramin - The renown Terramin red desert clay. 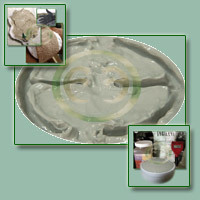 Redmond Clay - Mixed layer sodium bentonite healing clay. Far infrared therapy can be combined with external clay therapy with excellent results. Although any far infrared heat source may be used with clay, the FDA approved TDP Lamp provides a source of gentle energy that may provide an enhanced synergistic effect due to the clay plate that the lamp uses. Jason do you think,Clay is the results of century's of sea weed breaking down & forming clay? Where on your site can I purchase your products? Good question. Actually, this depends upon the clay. There are sea clays that are what I like to call "involutionary" clays which are the result of severe weathering and/or decayed organic and inorganic matter. However, bentonite is not one of them, as bentonite is a volcanic-origin clay.